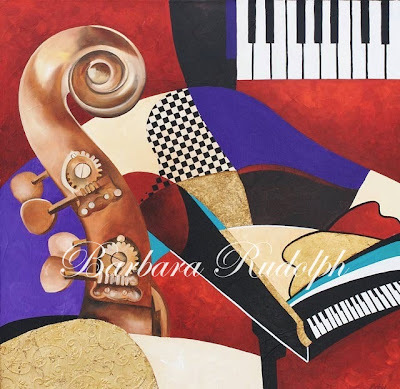 All That Jazz I & II This is a set of two mixed media paintings on canvas. Each one measures 20 x 20" on extra deep canvas. They are full of color and texture and include gold leafed elements. 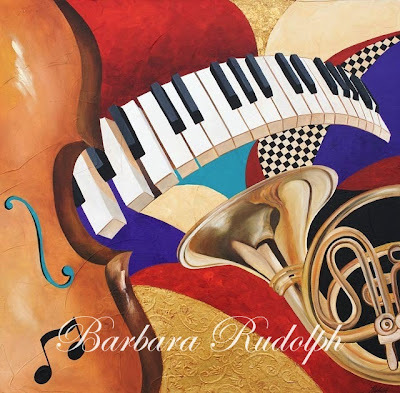 They will look wonderful in a music room. The set is available at one of my galleries. http://www.janehamiltonfineart.com/ You can contact me at: br1fineart@cox.net for more information, and details, or contact the gallery above for purchase info.